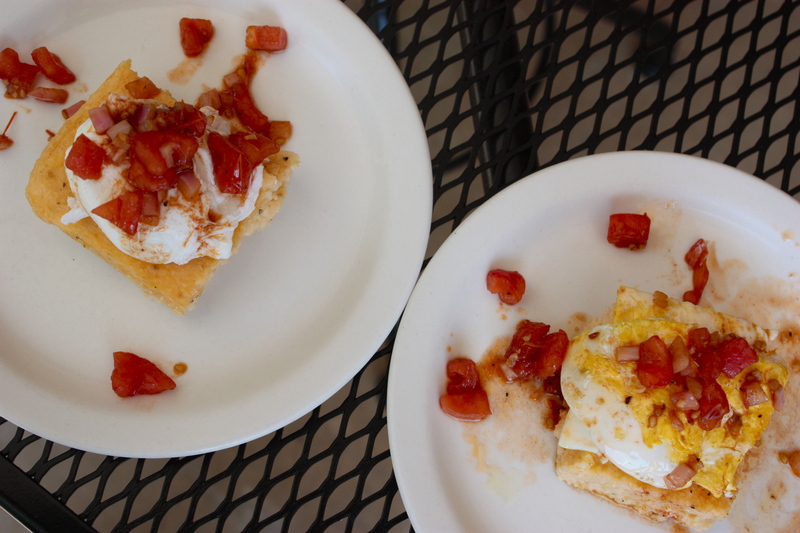 Grits, Eggs, Warm Bacon-Tomato Relish | "Il faut goûter"
I am your brunch, and I am Divine. Are you an intuitive cook? Me too. Do you think measuring spoons are cute but often find them superfluous? Do your discerning eyes and tongue guide you smartly through your kitchen? Ok, this recipe is for you. This dish is in your future. Make it to taste. But surely, make it, because the combination is such a winner. 1. Start the plate with baked grits. (Hey, maybe you want to use my recipe for Cracked Pepper Cheddar Grits! 3. Finish with a generous spoonful or two of this Warm Bacon-Tomato Relish. Put everything in a small saucepan and simmer over medium-low heat, stirring occasionally, for 15-20 minutes. The tomatoes should still have a bit of bite to them. Serve warm. The tang and acidity make this a great complement to cheesy, creamy grits. Me and Mom, quite alike but differently adapted. 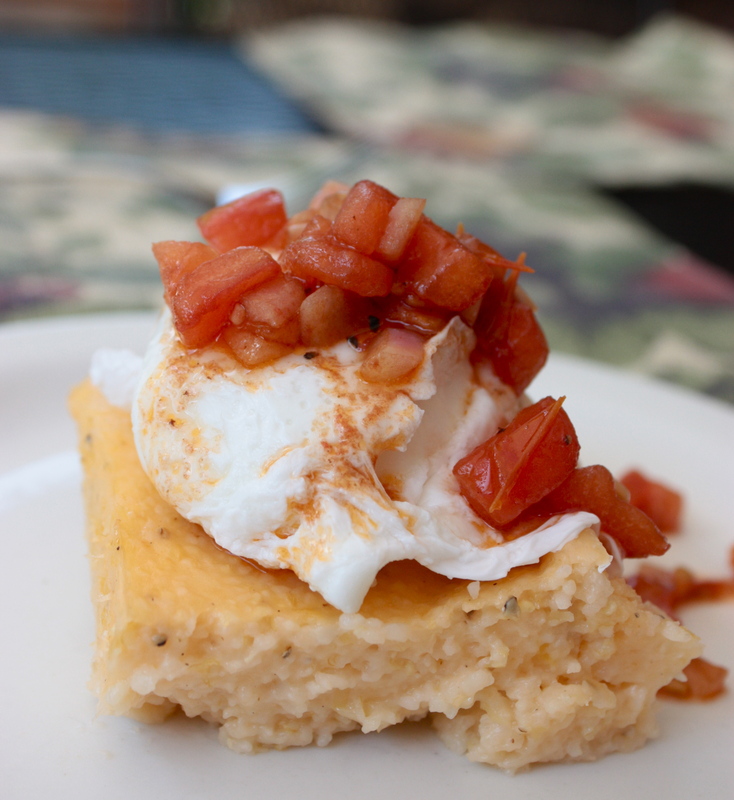 This entry was posted in Savory and tagged brunch, Cooking, eggs, food, grits, recipe, recipes, southern by needtotaste. Bookmark the permalink. I love grits! And the tomato relish looks wonderful, too. All in all, it is making me hungry just looking at it. No question that this would be *almost* unbearably delicious!